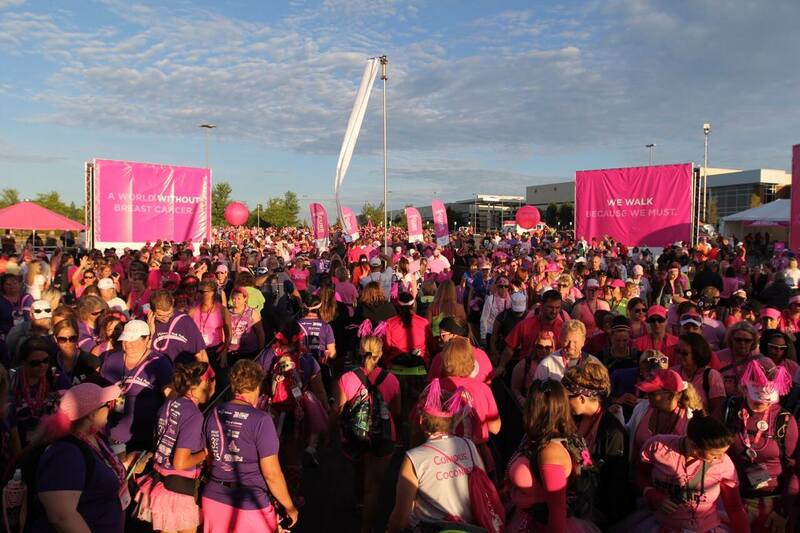 The Susan G. Komen Michigan 3-Day started on Friday morning against a brilliant blue sky dotted with clouds at the Suburban Collection Showplace in Novi. 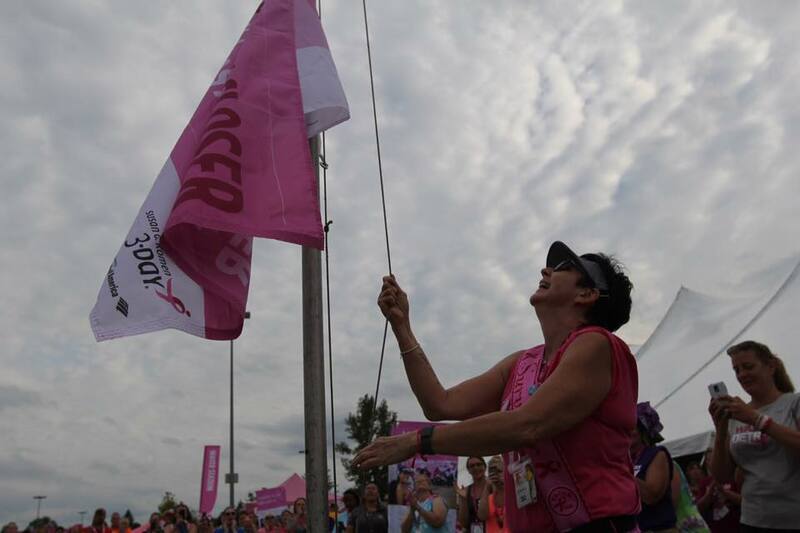 In an emotional Opening Ceremony, we heard from 3-Day spokesperson Dr. Sheri Prentiss, Chrissy Matthews from Susan G. Komen and Ann Love, local events coach in Michigan, rallying the walkers to begin their remarkable 60-mile journey and kick off the 2015 3-Day season. Walkers headed out into Novi, buzzing by the bee-themed Pit Stop 1 at 2.4 miles, and then were cheered on by an amazing group from the community at the CVS Pharmacy in Farmington Hills. 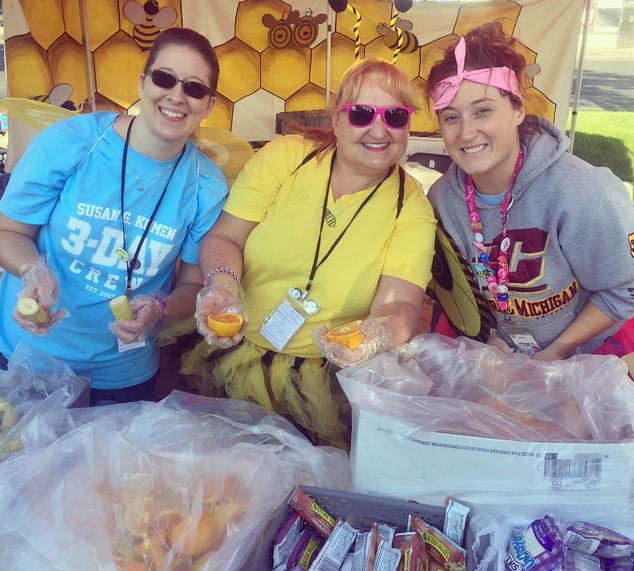 Crew members at Pit Stop 1 are all smiles handing out snacks bright and early on Day 1 of the Michigan 3-Day. As the train of walkers got farther into Farmington, they enjoyed photo opps at the Farmington Historic District, and at Pit Stop 2, they said “aloha” to delicious snacks and hydration to keep the spring in their steps. Twelve miles into the route, walkers were refreshed by an amazing cheering station at the Gill Elementary School, which kept them going for ten more miles into camp. 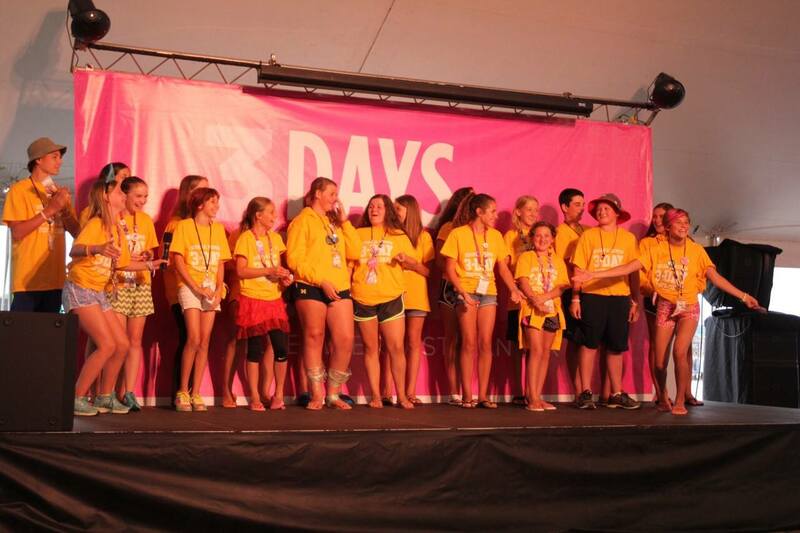 Back at camp, the Michigan 3-Day family greeted the last walker, and had an energizing camp show that honored top fundraisers and the Michigan Milestone Award winner. The camp show also features inspiring speakers who reminded us why we put one foot in front of the other in the fight against breast cancer. A drizzle of rain couldn’t stop walkers and crew members as they greeted Day 2, who instead decided to call it “liquid awesome” and charge forward! After a brief refuel at Pit Stop 1, walkers headed towards the Downtown Northville Cheering Station, where the community rallied them on with snacks, encouragement and love. 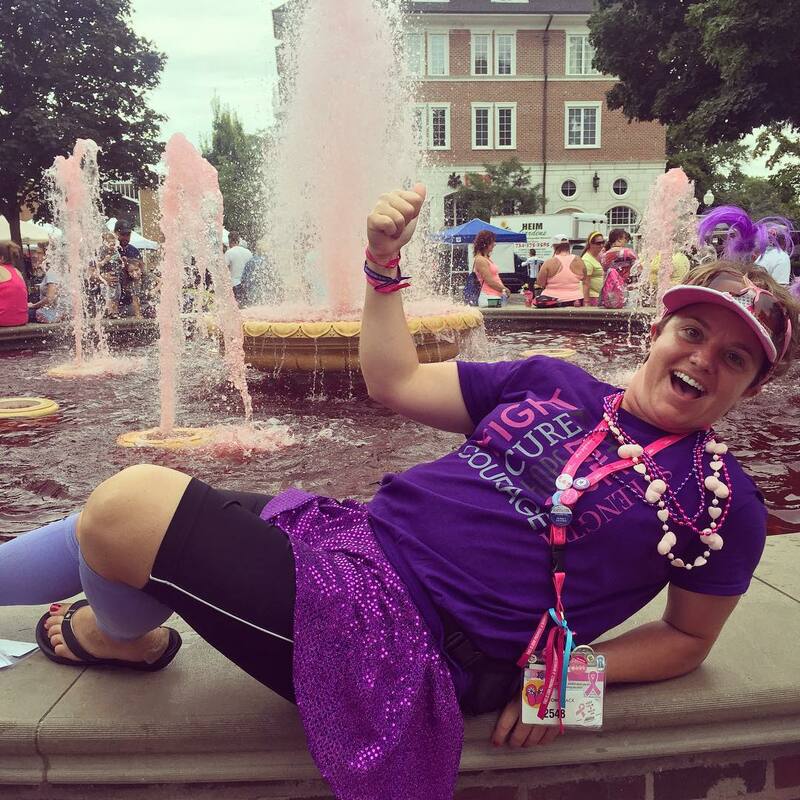 After lunch at around 9 miles, it was off to the much-anticipated Kellogg Park Cheering Station in Downtown Plymouth, complete with a pink carpet photo backdrop and the legendary pink fountain. Walkers powered on through the day’s mileage, rejuvenating at Pit Stop 3 (13.5 miles) and again at the mo-town themed Pit Stop 4 (16.7 miles), before closing in on camp after an incredible 22.3 miles. Saturday night was Friends and Family Night at camp, complete with games, music and ice cream trucks. Walkers’ and crew members’ spirits were raised as the pride and joy from loved ones helped them work through the sore feet and blisters. In Saturday’s camp show, we honored more outstanding 3-Day community members, played some new games sponsored by Bank of America, heard from the 3-Day Youth Corps, and of course, finished the evening with a classic 3-Day style dance party, where our sore feet were no match for the electric tunes pulsating through the tent. 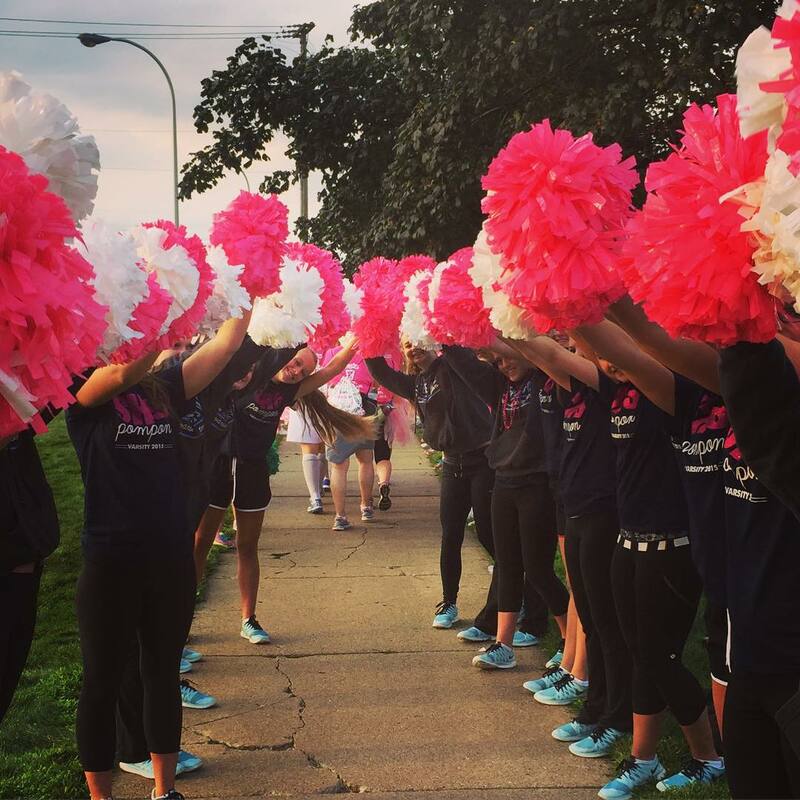 Sunday morning started with a bus ride to Livonia, and 1.5 miles in, walkers were rewarded with what felt like all of the cheerleaders in the world creating a pink alley of pom-poms to walk through. 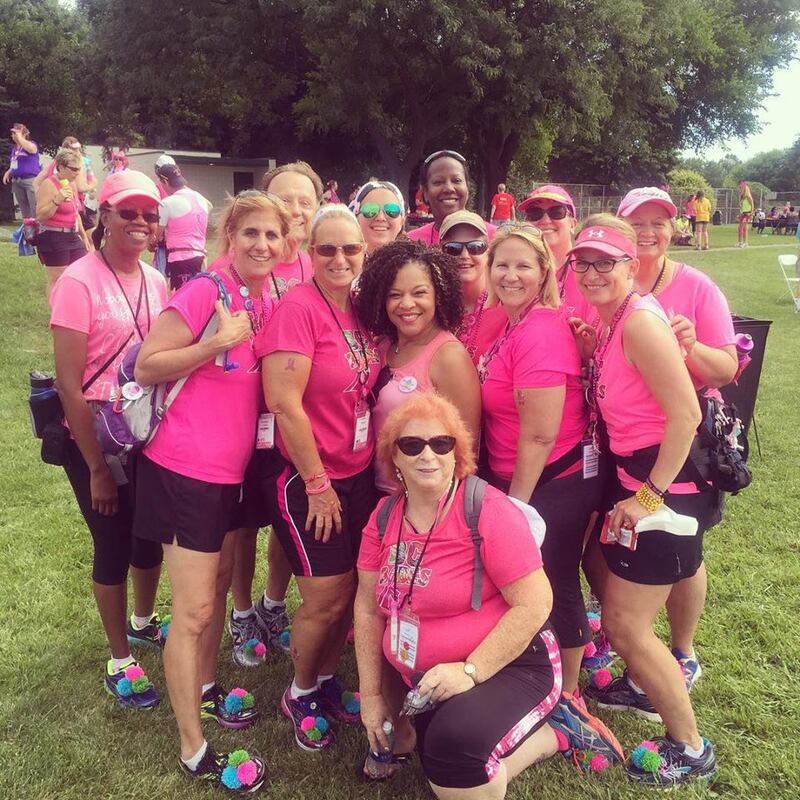 The beautiful city of Dearborn Heights did not disappoint as many of us posed at the McFadden-Ross House, and then charged forward, completing the final day’s breezy 16 miles at the Ford World Headquarters in Dearborn. Here, the entire 3-Day family celebrated, cheering in our last walker, and then joining hands and marching into the Closing Ceremony. 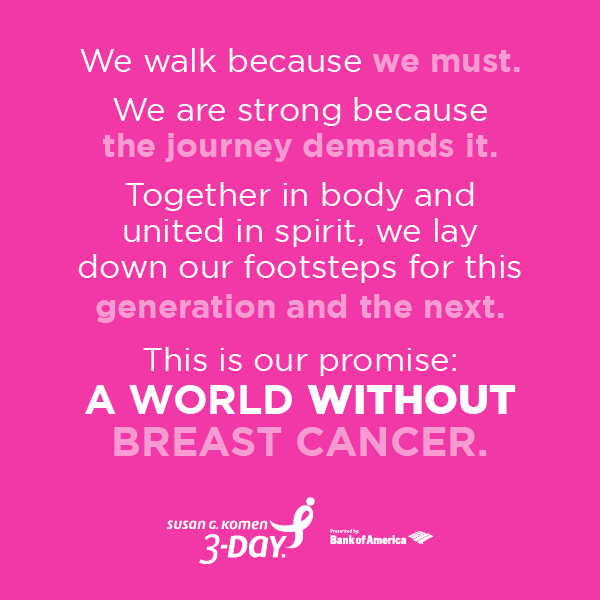 Dr. Sheri and Chrissy shared the incredible news that 650 walkers and 300 crew members raised an astonishing $1.9 million dollars in the fight against breast cancer! 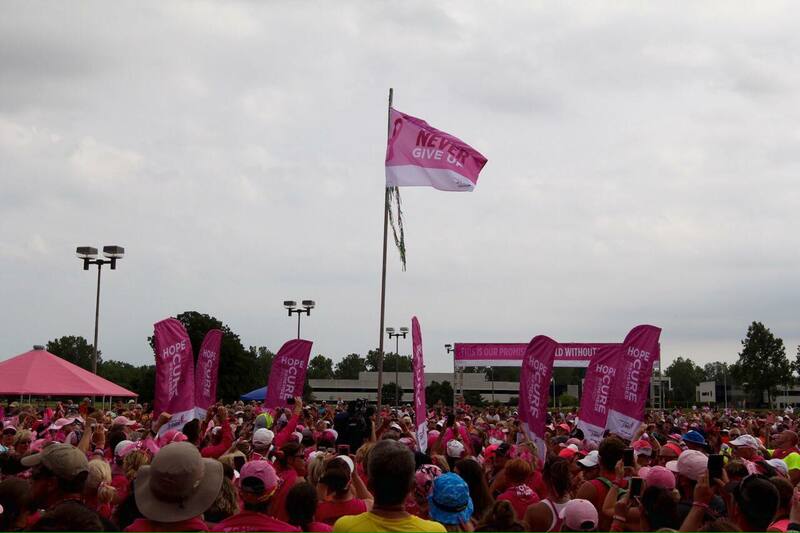 We renewed our promise from Friday’s Opening Ceremony, for our world free from breast cancer, and raised the flag and our shoes toward the sky, reminding the world that we, the Susan G. Komen 3-Day, will never give up. 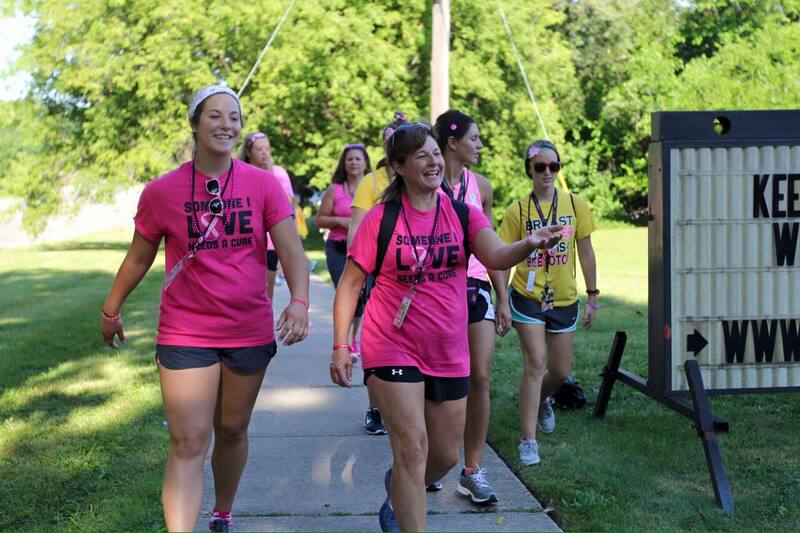 To see the 2015 Michigan 3-Day Photos, click here or visit the 3-Day’s Facebook page.